UPDATED: Norway’s civilian police intelligence unit PST has, for the first time, gone public in recommending that Norwegian police be armed at all times. PST (Politiets sikkerhetstjeneste) thinks a state commission that advised against permanent arming last spring had an “imprecise” picture of today’s terror threats. Norway’s justice minister has now followed up by ordering a temporary arming of police at Oslo’s main airport at Gardermoen, for the next three months. Justice Minister Per-Willy Amundsen has long supported arming police in Norway. Current law, however, only allows temporary arming for specific periods of time. 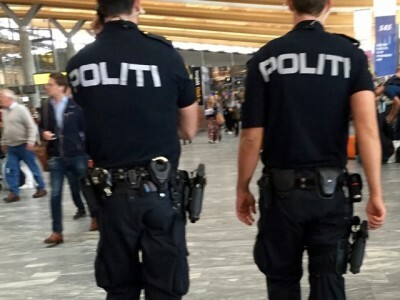 On Thursday he announced that at least police on duty at OSL Gardermoen will be armed with hip holsters, as they have on earlier occasions. The temporary arming order may later be extended to other airports. PST chief Benedicte Bjørnland told Norwegian Broadcasting (NRK) on Wednesday that Norway’s justice ministry, which is responsible for the country’s state police, should order all Norwegian police to carry arms at all times. 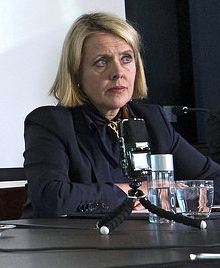 She strongly disagreed with the verdict of the commission that advised against permanent arming of Norwegian police, which traditionally have been unarmed. The commission turned down general arming last march, and claimed that the current system, in which police on patrol have firearms locked in their vehicles, was the best solution. Bjørnland told NRK on Wednesday that the commission’s description of the terror threat was “imprecise” and not in accordance with current reality as PST sees it. Bjørnland told NRK that the commission’s and police officials’ data, on which they disarmed police, was outdated and irrelevant. Police chiefs in Oslo, Bergen and Trondheim have also expressed a desire that police carry arms at all times. Police stationed at Oslo’s main airport at Gardermoen have complained that they’d have to use precious time to arm themselves in the event of a terrorist attack. Justice Minister Per-Willy Amundsen thinks the current situation, in which police are unarmed, is intolerable. He also wants general arming of police at all times. “It’s absolutely necessary, to create the security we need in Norway,” he said. He took PST’s recommendation seriously.